We don't just sell engraved bricks and tiles. We provide a full service fundraising solution for your campaign. Please read our recent client's comments below. 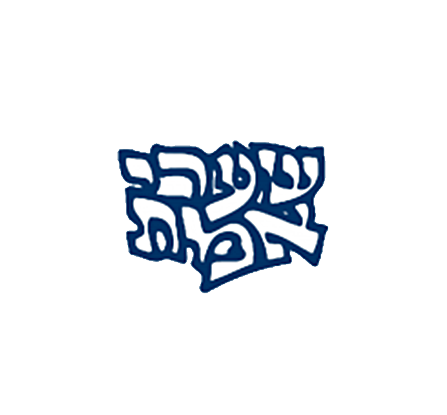 4Ever, since 1975 - over 40 years, has internationally delivered over 1.5 million corporate and personalized engraved products. Today our Suburban Philadelphia 9000+ square foot facility affords us a large single-day capacity. 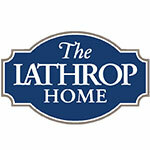 We are a family-owned business that continues to grow year after year. We have a staff of talented artists, engravers, laser technicians, web specialists and production and case managers. Our focus has always been to provided exceptional customer service; we believe that this is the reason for our steady growth. This caption text isn't presently showing. 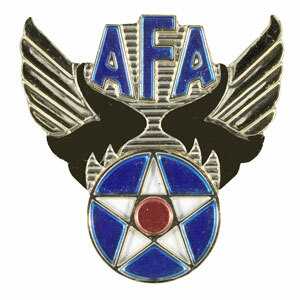 More than 70 years ago, the founders of AFA laid the foundation for AFA brick by brick. 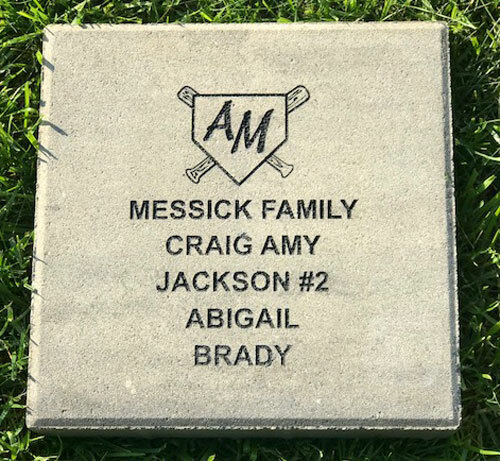 You can continue their heritage by making a tax-deductible donation to AFA for your very own personalized brick. You can honor your service in the Air Force or to AFA with a lasting legacy with a personalized brick at AFA’s Headquarters in Arlington, Virginia. "In searching for the best company to partner with for our brick campaign, we found that 4EverBricks.Com was far superior to their competitors in terms of pricing, customer service, and an overall strategic partner. 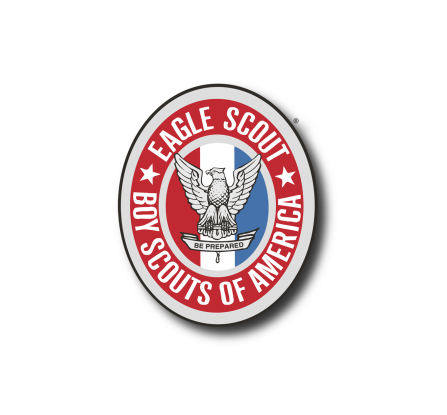 Our charity, whose main mission is to promote a dominant US Air Force and support America's heroes, continues to be impressed and grateful for 4Ever's responsiveness, enthusiasm, and passion for creating and implementing a streamlined process for our campaign. 4EverBricks.com truly provides a 360 degree platform and we could not be happier with their work." 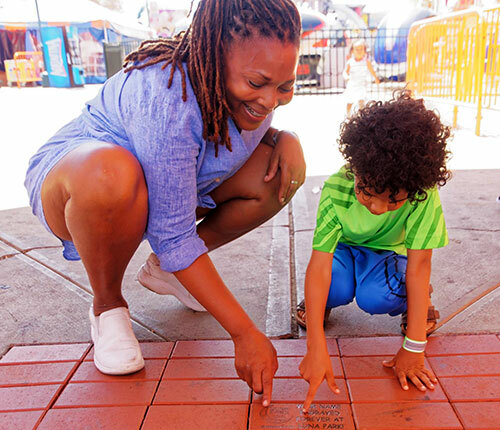 The PYA Walk of Legends has been installed, but don't worry, you can still CELEBRATE YOUR FAMILY and help us PAVE THE FUTURE FOR PYA by ordering a brick today. 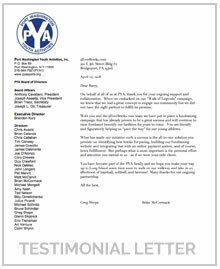 "On behalf of all of us at PYA, thank you for your ongoing support and collaboration. When we embarked on our “Walk of Legends” campaign, we knew that we had a great concept to engage our community but we did not have the right partner to fulfill its promise. With you and the 4EverBricks.com team we have put in place a fundraising campaign that has already proven to be a great success and will continue to raise funds and beautify our facilities for years to come. You are literally and figuratively helping us “pave the way” for our young athletes. What has made our initiative such a success is the all-in-one solution you provide us: identifying the best bricks for paving, building our fundraising website and integrating that with an online payment system, and of course, brick fulfillment. But perhaps what is most important is the personal effort and attention you extend to us—as if we were your only client. You have become part of the PYA family and we hope you make your way up to Long Island some time soon to walk on our walkway and take in an afternoon of baseball, softball, and lacrosse! Many thanks for our ongoing partnership." 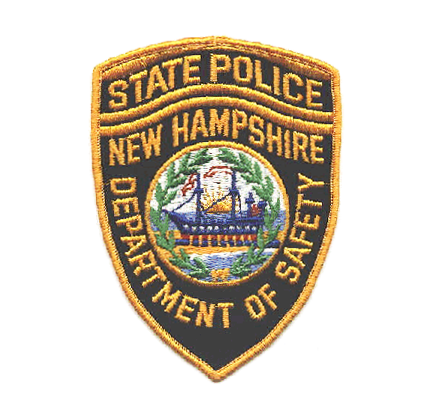 Last year, the Westport Police Department answered 21,783 calls for service and drove 396,269 miles patrolling your streets. Now, they need your help! 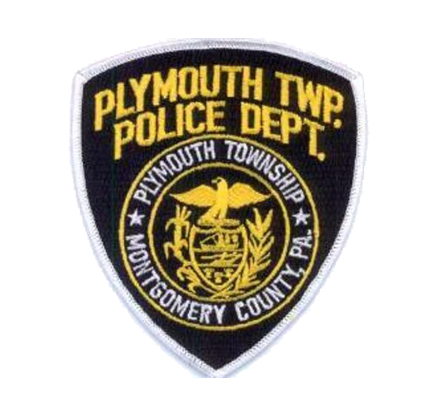 We are creating a 6' tall Bronze and Granite Police Memorial outside our new station along with a brick walkway leading from the station to the Memorial. We are offering engraved bricks to be placed in the walkway to help defray the costs. 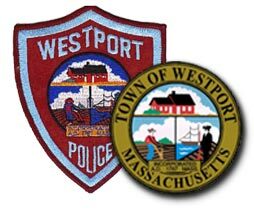 This is a great way to honor a loved one, leave your mark on our new station, and support the Westport Massachusetts Police Department. Our local businesses are encouraged to participate too! "I recommend 4EverBricks to anyone who is interested. They were extremely helpful and was always available when I reached out to him. 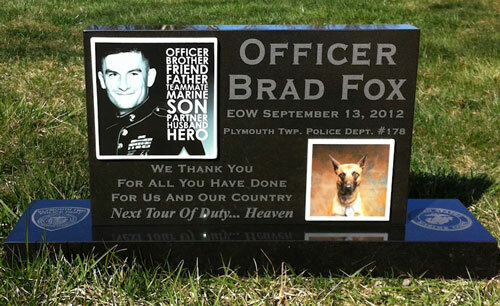 We did a brick fundraiser to have a monument built for our new police station. They talked us through it, gave us a good game plan, and the entire process was smooth and successful. The detail that is put into each brick was incredible beyond what I expected. The prices were great, so was the help, so we went with 4EverBricks and I guarantee anyone else will be completely satisfied just as we were." $10,000 Profit in 10 Days! "We called 4EverBricks less than a week before our season started. With their immediate help in developing order forms and brick displays we launched our Brick Campaign on Opening Day. By the next weekend we had earned over $12,000, netting a $10,000 PROFIT!" "I am happy to give recognition to the great work and attitude I have received. Please feel free to post my testimonial: 4Ever, it's been a real pleasure working with you. Every time I deal with your company, I’m convinced that I made the right decision by choosing 4EverBricks. From the first time I called you have been awesome. I can’t tell you how much I appreciate your working with me, and being supportive throughout this project, no matter what I've asked not once was I let down. I have been extremely pleased and have received so many compliments on the quality and detail of your work, Thanks so much." "We have been very pleased with the quality of the products we have received, and impressed, with the simplicity of the ordering process and delivery times from 4ever Bricks. They are quick to respond to questions, make alterations and expedite orders when needed. Overall they have been a pleasure to work with! "4EverBricks helped us raise the funds necessary to add two new kennels. 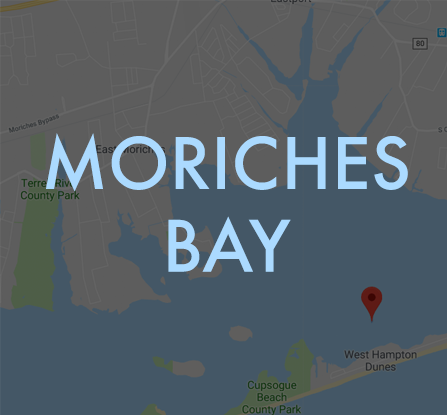 They helped us do all of the marketing and the free website worked great! Thank You 4EverBricks!" 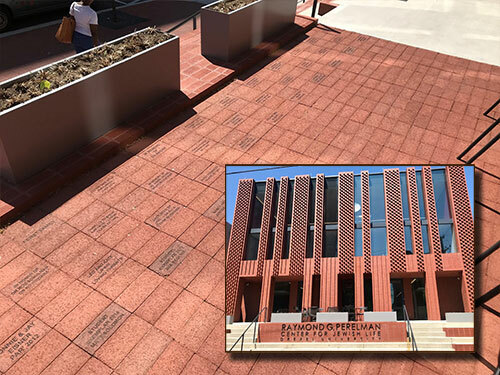 Help us celebrate 50 Years of education excellence by placing your brick in our commemorative pathway. Your message will be shown for generations to come. "I cannot say enough about this fundraiser for our school and the company that helped make this a stress free success! The folks at 4EverBricks have been amazing! Whether it was a logo question on the weekend or a parent misspelling, he was there for every question and concern. The range of logos they were able to accommodate was amazing. The school was so happy with the results of this that our principal asked to make it an annual fundraiser." "Pleasure to work with! 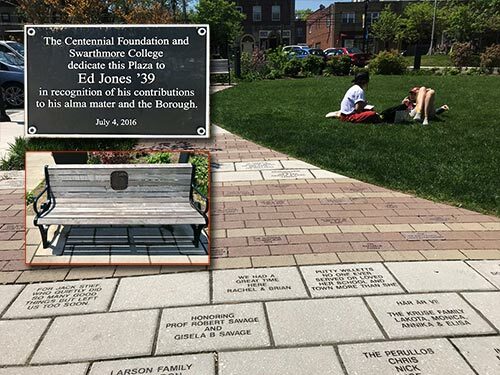 Our Swarthmore Centennial Foundation project went off without a hitch thanks to the quality of work and responsiveness of Rick and the rest of his team. 4EverBrick is Great!!" 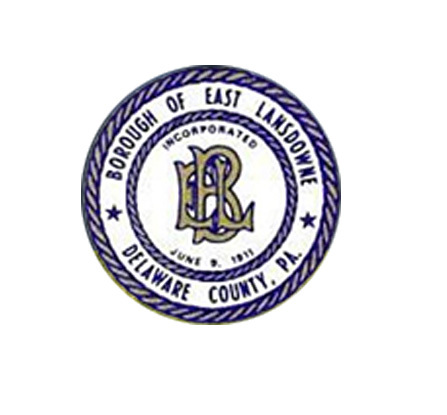 "We are very pleased with the results from our Fundraiser for our East Lansdowne Memorial Park. 4EverBricks were professional, timely and very helpful with the website-portfolio. Bricks look great." "In searching for a fundraising opportunity for our historical society, one of our members mentioned a “Buy a Brick” event. I immediately contacted 4EverBricks in Pa. I was pleasantly surprised at how helpful the staff was. Every question I had, was promptly answered. The information booklet they sent out to me along with a sample brick and some ideas of past customers set me on my way. We will be launching the end of April. I Thank them for their professional, friendly and sincere help. Looking forward to a long relationship." 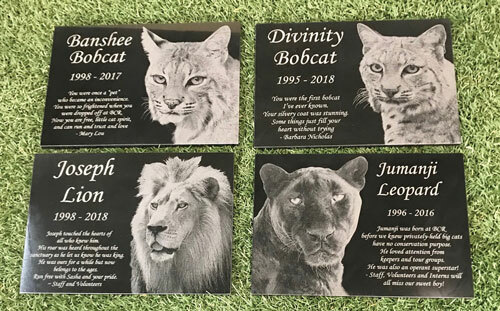 "Our church was shopping around to get the best price and quality for engraved memorial bricks as a fundraiser for my church. I was so lucky to hit upon 4EverBricks. They took the time to explain everything regarding the process of getting the bricks. He also sent me up a beautiful sample brick with my church logo on it. Top quality workmanship on the brick and a lifetime guarantee. What more could you want? It’s so easy to order the bricks, they design a web page for you to order. I am so glad I found this company and would recommend them highly to anyone looking to get these beautiful bricks." 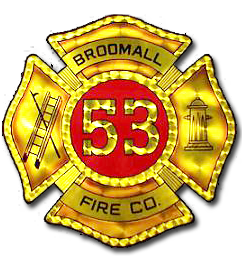 Reserve Your Place in Broomall History. 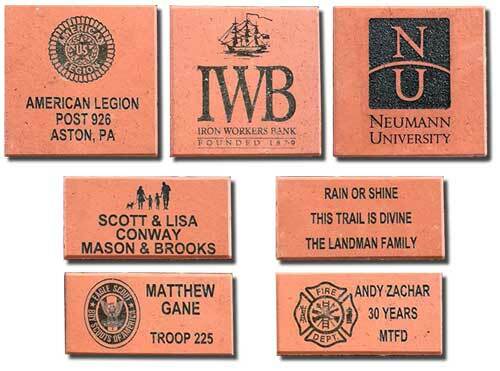 Your tax deductible* donation buys a limited edition Broomall Firehouse brick. 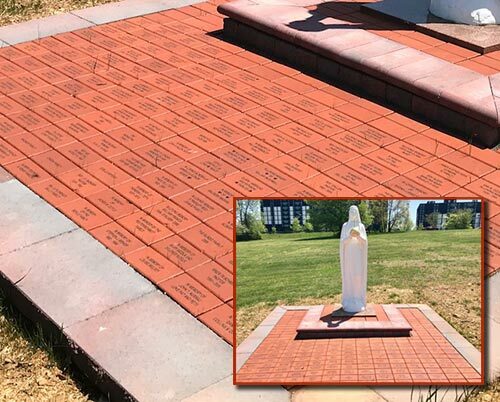 In celebration of the 50th anniversary of the Bon Secours Retreat and Conference Center, the Sisters of Bon Secours are building a “Pathway to Peace” – a brick walkway which will extend from our building to the Peace Garden. This quiet pathway will carry our guests to one of the most peaceful places on our campus. The path will end in front of our lovely Peace Garden with the Worldwide Peace Pole, a symbol calling all who encounter it to pray for peace around our world. Click here to donate a brick. "4EverBricks did a great job for us. We were able to expand our programs thanks to the donations that were raised from the fundraising brick campaign. 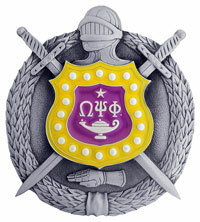 - Jill Book, Autism Awareness"
The Kappa Omicron Chapter of the Omega Psi Phi Fraternity, Inc. and the Kappa Omicron Community Development Corporation (“KO”) have been serving the Bronx, Harlem and greater New York City communities for the last seven decades. 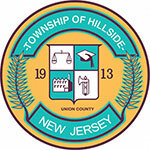 Please consider participating in the HDJ House Brick Program. Become a permanent part of the Chester Creek Rail Trail as we continue working to make it a place where families can enjoy the great outdoors together. 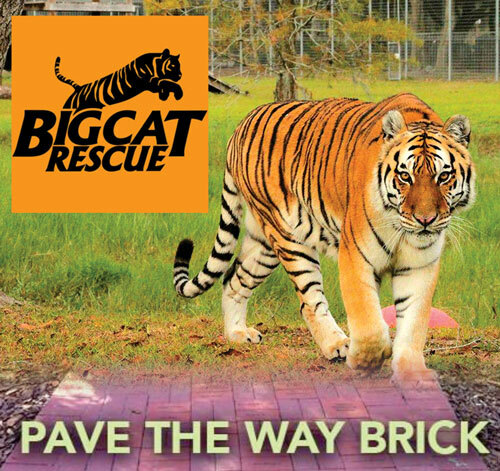 Put your name and message on a brick which will become a permanent part of the Trail! Established in 1885 to professionalize the county’s practice of law, the Montgomery Bar Association (MBA) is one of our nation’s oldest and most respected bar associations, representing over 2,100 legal professionals in Montgomery County, Pennsylvania. In 2017, Houston street dog rescue Corridor Rescue realized a longtime dream and opened Bo’s Kennel in Tomball, Texas. 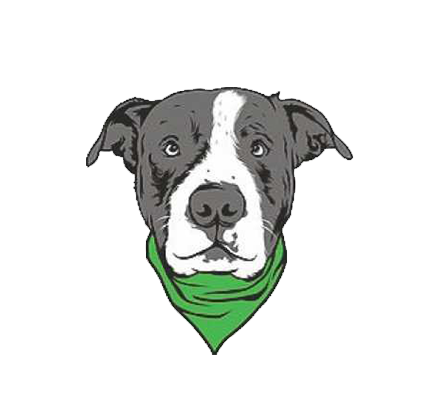 We are now able to rescue and rehabilitate Houston street dogs with the help of dedicated foster families as well as a brick and mortar location. Bo’s Kennel has allowed us to better evaluate the personalities of dogs in our program, therefore making them easier to match with the perfect forever family." Would you like a sample brick? Please fill in some basic information below, and our customer service team will contact you shortly. 4EverInMyHeart.com is a division of 4EverBricks. 4EverInMyHeart.com is one of the largest pet memorial manufacturers in the United States. Since its inception in 1975, 4EverInMyHeart has engraved over 1,000,000 lbs. of river rock, bluestone, flagstone, marble & granite.